It has been a pretty fantastic year for women: a female winning best director at Cannes, a female director taking the Tony-- not to mention the fantastic achievement of Wonder Woman -- women are making their place known in the arts. However, there are several female-driven stories making a comeback, and War Paint; music by Scott Frankel; lyrics by Michael Korie; book by Doug Wright; directed by Michael Greif, is one of them. 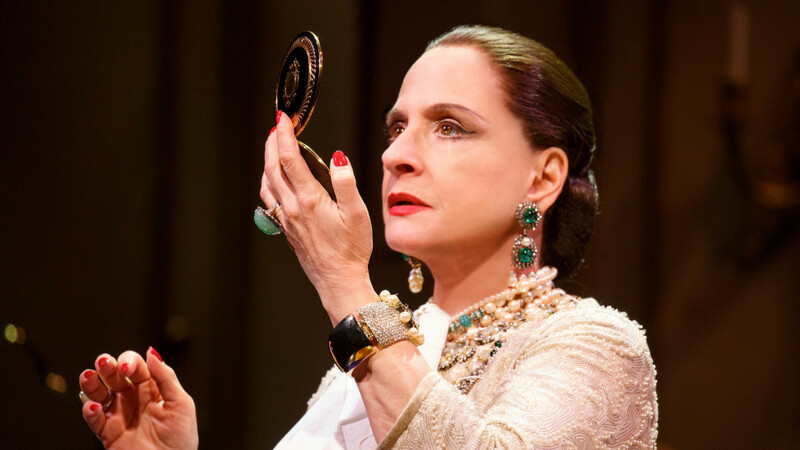 Helena Rubinstein and Elizabeth Arden shaped the makeup industry as we know it today, but how much further could they have gone if it weren’t for their infamous rivalry? War Paint, tells the story of these two cosmetic icons, and their competitiveness cost them a slice of immortality. For the first half of the 20th century, the cosmetic industry belonged solely to these two women. Helena concocted recipes with the power of chemistry, and Elizabeth persuaded women they would look and feel younger with her fashionable packaging. The musical begins with Helena’s return to America after buying back every share of her company, much to the chagrin of Arden, whose business has been thriving since Helena’s absence. The two never interact onstage, but instead are seen at the same restaurant, and keep trading business partners, as their companies entangle in a mess of vindictive revenge as each woman struggles to stay on top. As other makeup companies begin popping up and taking away clientele from Arden and Rubinstein, their business partners beg them to change with the times to stay current, but stubbornness is one of the many traits they share. In the end, neither of them is willing to advertise in magazines or on television, and prime spots go to other competitors which send their brands to the top, leaving Arden and Rubinstein in the dust. 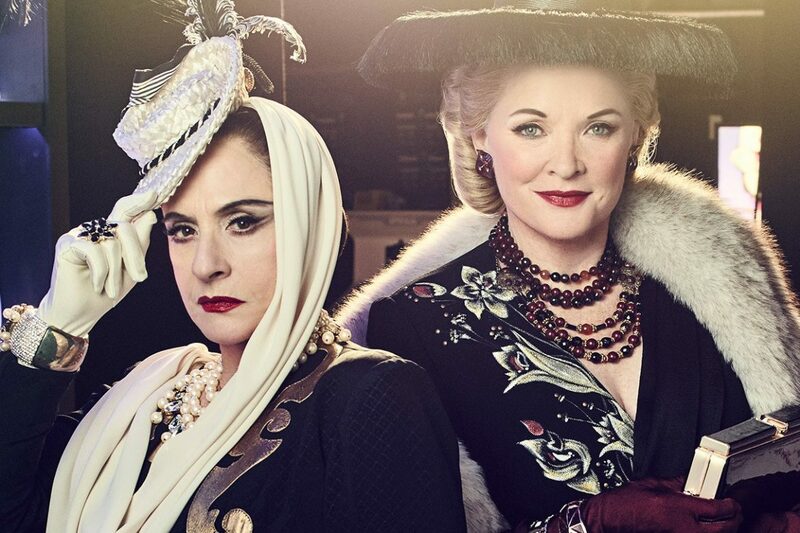 Watching War Paint after watching The Powder and the Glory (written and directed by Ann Carol Grossman and Arnie Reisman) gave me insight on the famous feud between these two women, but having all of that knowledge left me wanting slightly more about the women, and less about the feud between them. 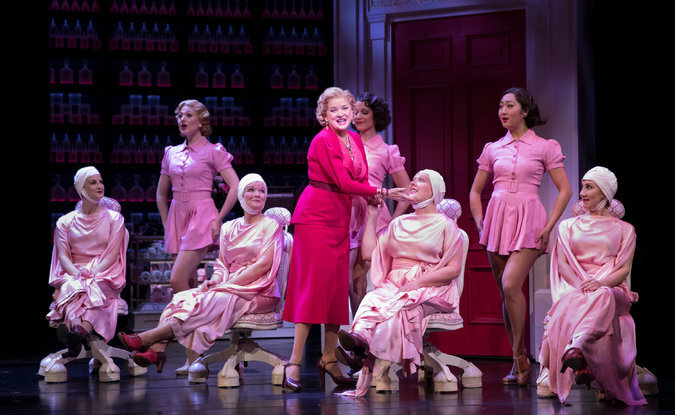 In an effort to make the two women polar opposites, Helena is portrayed as clinical, more interested in chemistry, while Arden is less interested in the business aspect, and more focused on her pink packaging. The creative liberty does succeed in making the women different, but I wished for a world where both women could have been portrayed as strong business women who also loved their industry. In addition to making the women polar opposites, the writers have also chosen to dedicate a large portion of the production to their male counterparts, which seems superfluous. There are several scenes where the two men meet, they even have their own duets (which show the audience more backstory), but it draws away from the real conflict between Elizabeth and Helena, which at its very core is about two women struggling to stay the best in the business. There’s also scene at the end where Rubinstein and Arden meet. Behind close doors they make nice, but agree to keep up the façade for the sake of their company. This scene, though touching, took me too far away from reality, and felt, to me, that it was an attempt to soothe the audience, as if to say they weren’t actually foes. These women were proud, ruthless, and fearless and, after watching The Powder and the Glory I struggled with the addition of this scene, but I understand why it was added. That being said War Paint is a fascinating story of two women both struggling to make it to the top, and stay there. 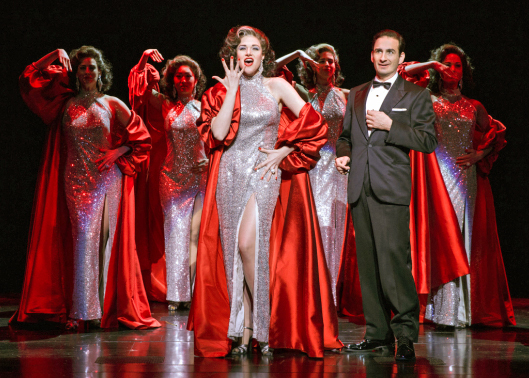 The production is slick, with effortless scene and costume changes, and the performances are astounding. Photo 3: Erik Liberman as "Charles Revson" in the infamous "Fire & Ice" ad.